So what do you think of The Bay so far? 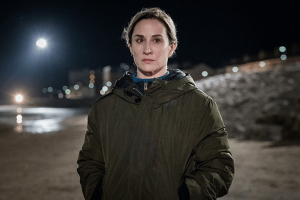 ITV’s twisty new crime drama The Bay has well and truly established itself into our weekly viewing schedule…and I think the majority of people watching have had good things to say about the programme. There’s no doubt about it, there are some pretty breathtaking shots of our beautiful Bay area and this is perhaps a stark contrast to the gritty storyline that underpins the show. And like similar dramas that have gone before including ‘Broadchurch’, I’m sure The Bay is set to put Morecambe back on the TV tourism map. The show has so far been gripping, fast moving and engaging and at very least it’s been fun to spot the locations used. If you haven’t caught up with the drama yet, you can find previous episodes on catchup TV and take a peek at the teaser trailer below.